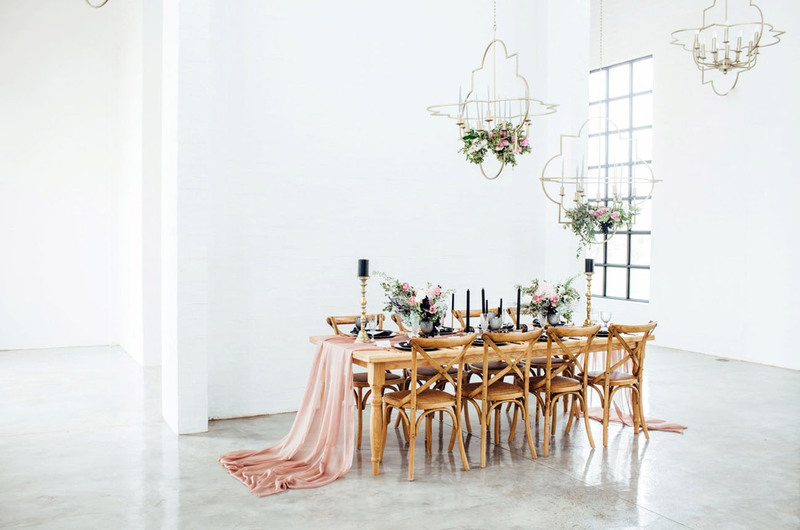 Today’s magical editorial is so much fun because it shows us a fresh, but moody, side of the Pantone colors of the year, Rose Quartz + Serenity. 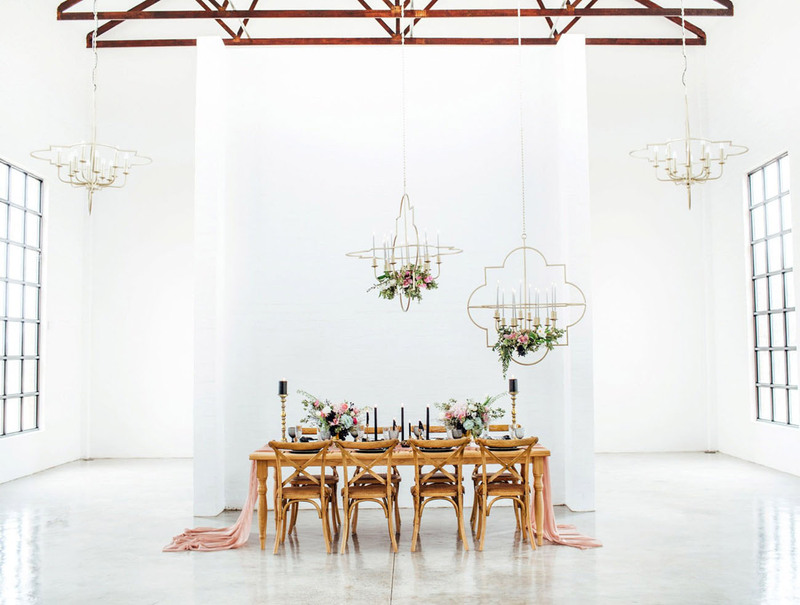 Louise Strydom handled all the event design + florals and Bordeaux Game Farm in South Africa set the stage perfectly for a dark + inspiring wedding eventscape. 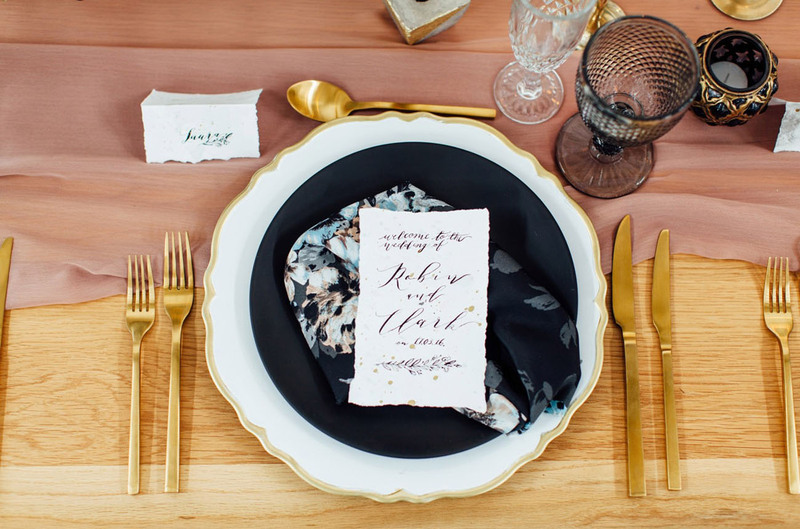 The photographer behind the beauty, Natalie Shelton, tells us, Using the Pantone Colors of 2016 as an undertone, then adding rich colours of deep purple, gold and black to create the mood, Louise managed to create effortless sophisticated mood. 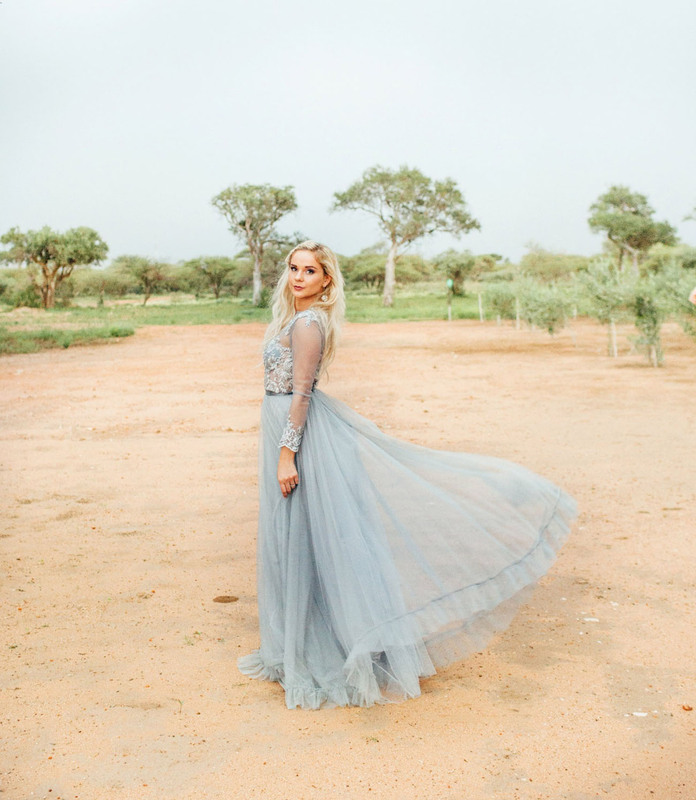 The light dustings of pink coupled with the blue African sky rounded off the concept. 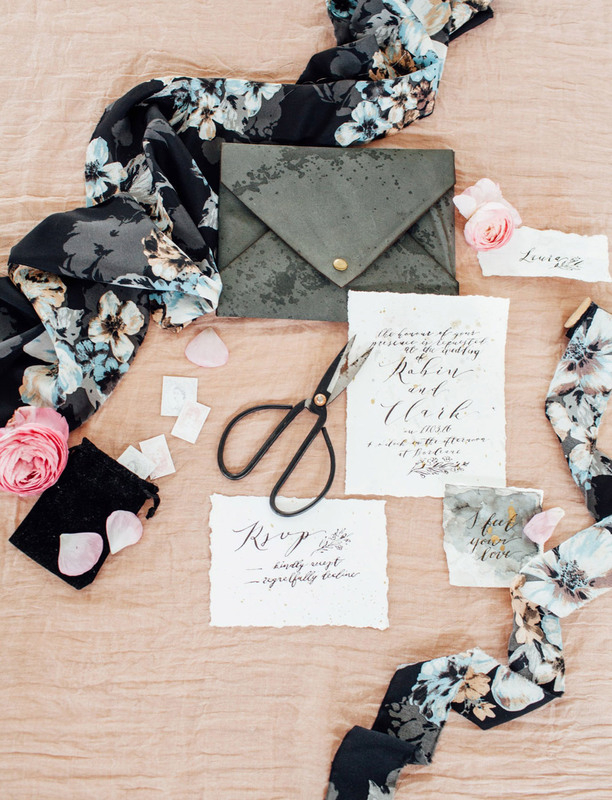 We love, love, love this raw stationery + calligraphy set by Chrystalace. 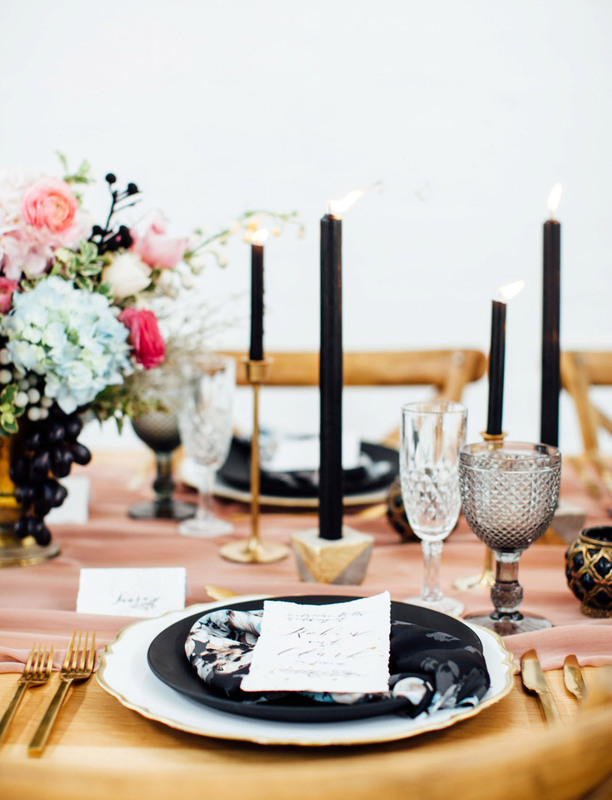 The table setting, which was showcased on a wooden table with rattan chairs, and adorned with gold cutlery by Crystal and Vine has as its main focus the floral designs and the simplicity of black candles set in gold candle sticks. 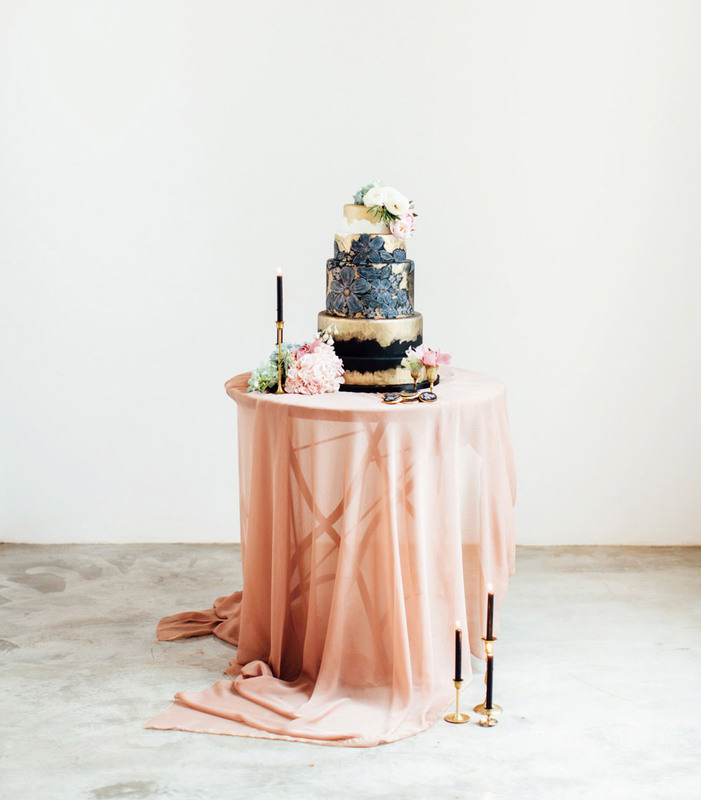 A softness was created by laying down a sheer dusty pink table runner which flowed over the sides. The use of wood tying back to nature which unfolded in all it’s glory on the terrace just meters away. 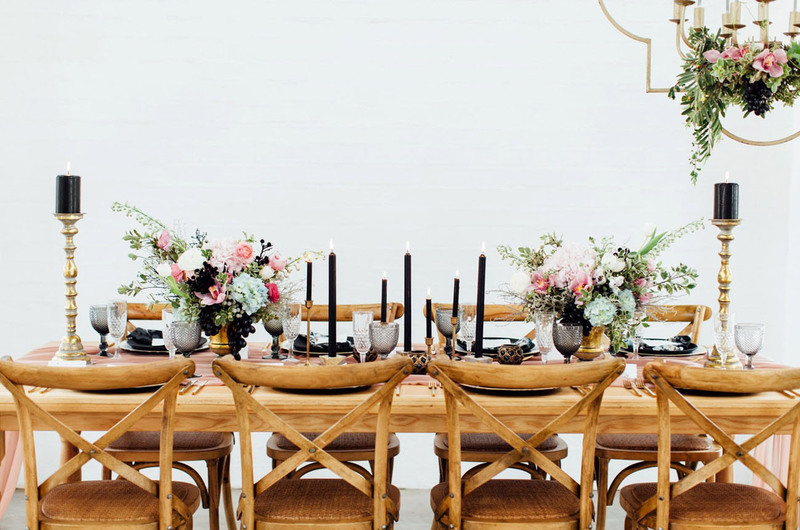 We dig the juxtaposition of this dreamy tablescape, set up in such a clean, white space. 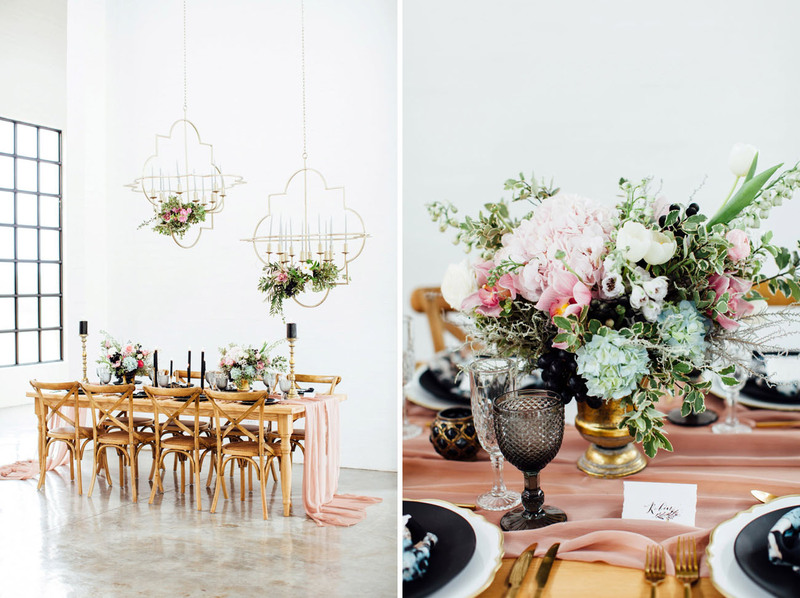 The modern chandeliers overhead, adorned with blush and green blooms, were such a stylish touch as well! 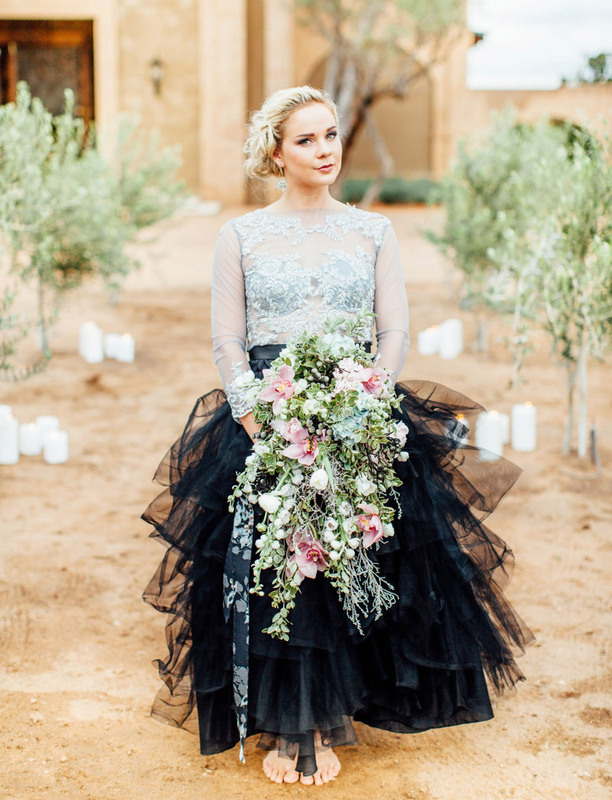 This wedding idea is not for the faint hearted bride – wearing a black wedding dress isn’t for everyone, which is why we decided to showcase three different looks in total. 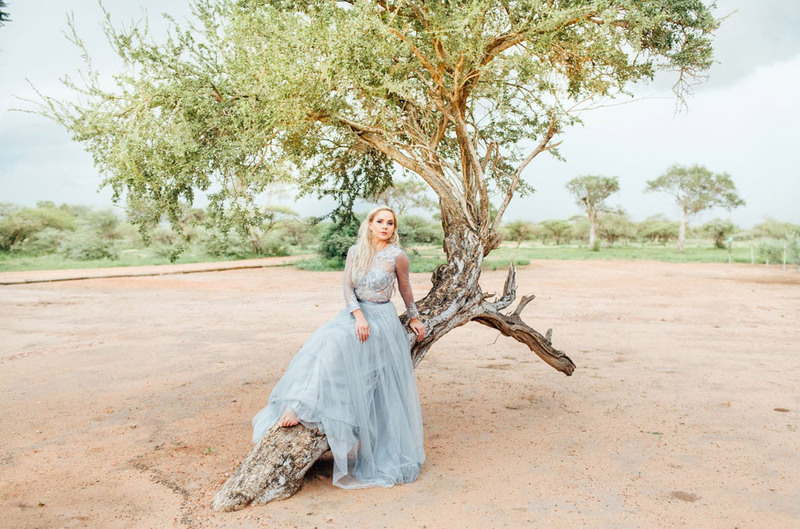 The gorgeous gowns by Zanne Couture are textured and variable, making combinations easy. 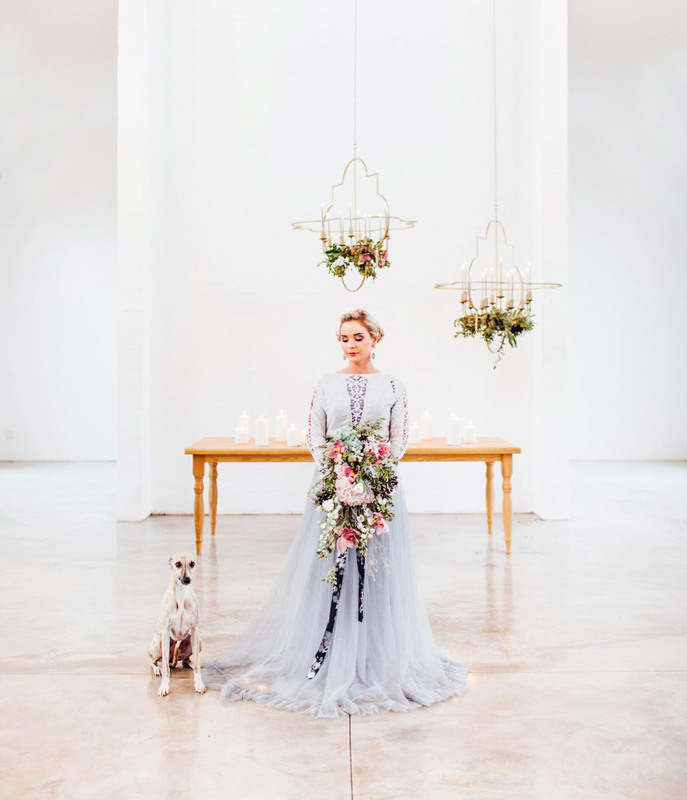 Zanne’s line makes space for the tastes of many brides – whether bold, playful, romantic or slight. 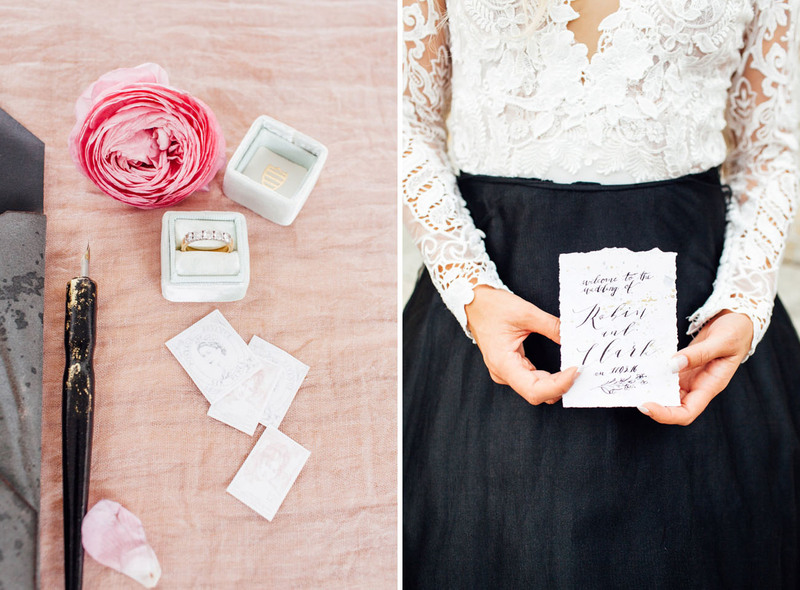 A pair of playful dusty pink heels by Spree and jewellery by Lorean rounded off the looks perfectly. 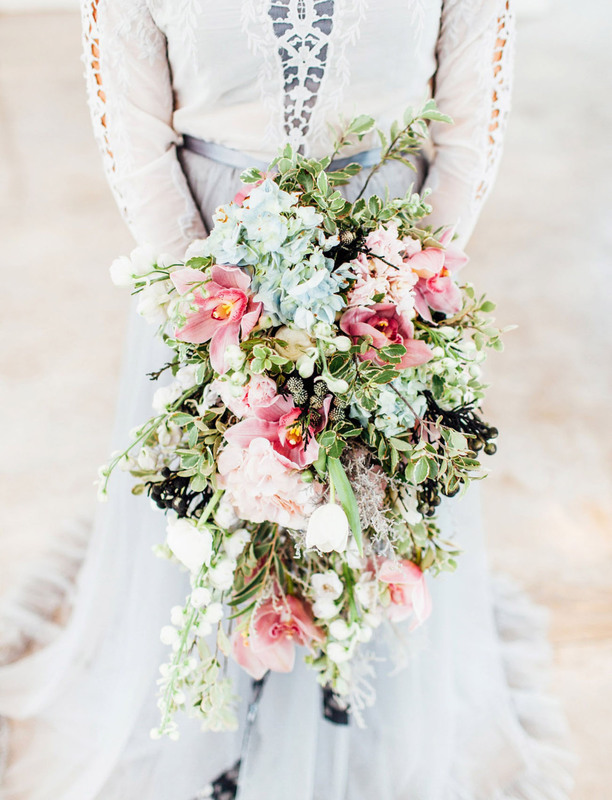 The bouquets featured tons of texture and a mix of leafy greenery, lush blooms, intricate orchids and unexpected black grapes. So stunning, no? 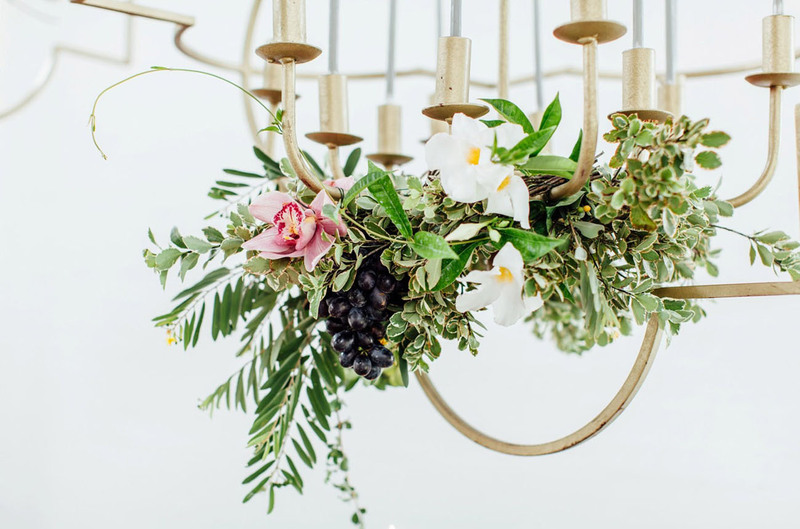 You can see more work from the creatives who put this beautiful project together by visiting their websites below! Beautiful concept from Louise! It’s so refreshing to see the Pantone colors of the year in such a unique way. The black really grounds the whole design. 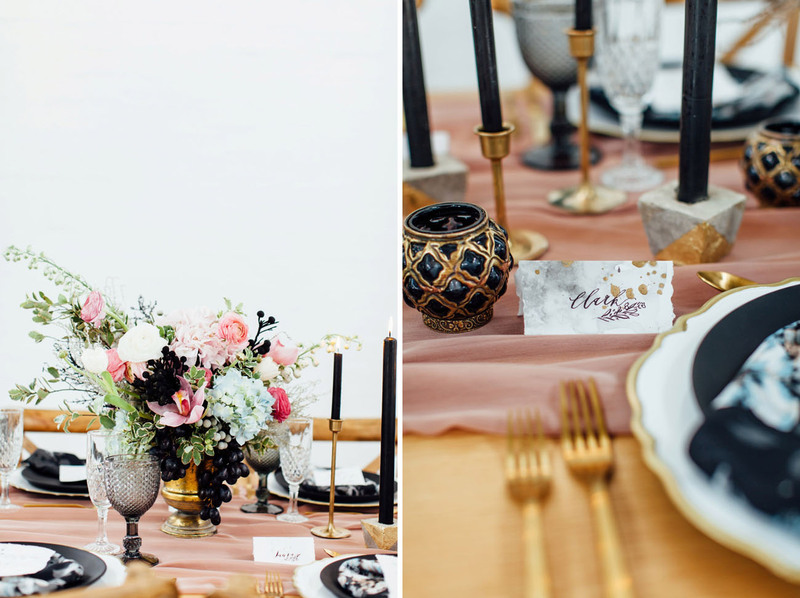 This style shoot is stunning. Excellent combination and mixture of details. I love how these images are light and dark at the same time! 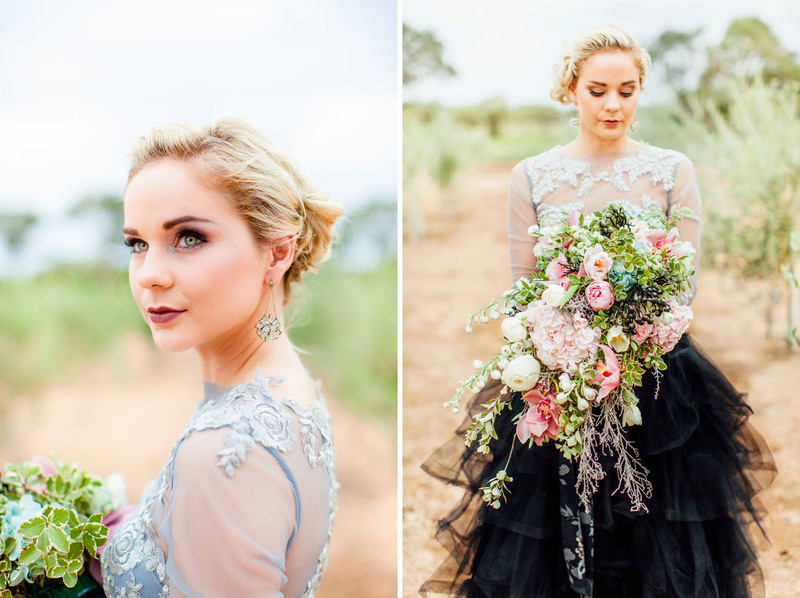 Beautiful Composition, Beautiful Dress, Beautiful Eyes. The Pictures …. Yes, passionate. Congratulations!